The Vegan Peach is a community created for those interested in veganism or who are already living a cruelty-free lifestyle. 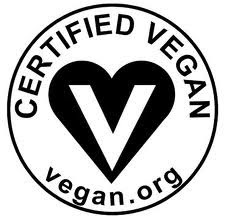 This is a database of vegan things to make veganism easy for everyone. 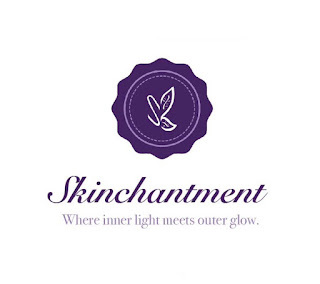 Skinchantment is not just another skincare company, unlike the "competition" they strive to make truly natural skincare that is all vegan, gluten-free, fair trade, synthetic preservative free and organic. They also donate portions of their profit to a local animal sanctuary-- making a better world for you, animals and the planet. Hailing from Alberta, Canada, Skinchantment is truly a treat for the skin using only the cleanest ingredients. Each product is handcrafted in small batches, guaranteeing the highest quality product. They offer 4 unique products in 4 different varieties. Siren Salts (Kitchen Witch)-- It's no lie, I'm a huge bath fan and bath salts tend to be essential for a perfect relaxing experience. Upon opening the Siren Salts I could see just how natural this product is. The sage and rosemary sprinkled throughout adds a nice touch to the bath. The smell is divine and it left my skin feeling silky smooth and smelling great. Also, a little goes a long way. Also available in: Secret Garden (rose), Circles Isle (lavender and rosemary) and Forbidden Fruit (orange and lemon). Elixir of Light (She Dragon)-- I admit, I have a fear of oil products for my face because I have acne prone skin. I was worried this product would break me out even though it's labeled "For Acne Prone/Problematic Skin" but my fear was unwarranted because I love this product. My skin feels fantastic and that says a lot since the last 6 years or so has been a constant battle with my skin. Since I started a medication several years ago, my skin constantly breaks out and has left me extremely embarrassed to show my face. I feel like my brightness is finally coming back. My skin is actually close to clear for the first time in ages and I truly think it's because of Skinchantment. I use this product as a cleanser but it can also be used as a moisturizer or serum. Radiance Nectar (She Dragon)-- This facial mist is partnered with the facial oil and is light and feels so good on the skin! Both together work their magic on my skin. :) I use this as a toner but can also be used as a makeup setting spray or simply for spritzing dry skin. Also available in: Faerie Maiden (For sensitive/normal skin), Warrior Queen (For damaged/scarred skin) and Wise Woman (For Aging Skin). Meet me at the Masquerade (Ebony Satin)-- Ebony is truly the colour of this dry masque which can look a bit scary but do not fear, even though it's a bit messy, it makes your skin feel and look fabulous. This one goes well with my oil and mist as it is for detoxification which obviously aids in correcting my acne prone skin but you can definitely pair the Sea Silk masque as well as it is for acne prone skin. You simply add a little water to a small amount of powder and voila! you've got yourself a masque! Also Available in: Crimson Velvet (For Beautiful Aging Skin), Sea Silk (For Acne Prone/Problematic Skin) and Pearl Lace (Gently Exfoliating/Moisturizing). I was also sent samples of the Sea Silk masque and the Warrior Queen mist and oil. I have tried them and enjoyed them as well but definitely want to stick to my main products. I also want to mention how much I love the names of the products as someone who's really into fantasy, I appreciate it. Each product has a story to tell and that is truly inspiring to me. Thank you Skinchantment for making me feel beautiful again and giving me the opportunity to collaborate with you. 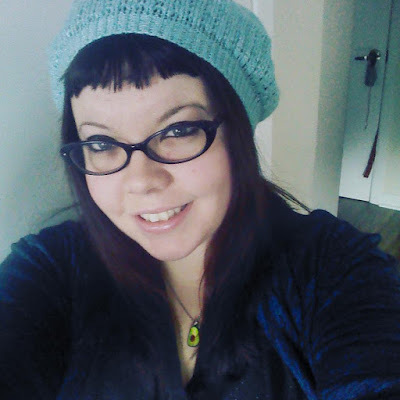 Labels are for soup cans but here's some stuff about me: Ethical Vegan, Activist, Animal lover, Photographer, Dreamer, Wanderer, Survivor, Warrior, Misanthropic, Neurotic, Empath, Socially Awkward, Child of the Earth, Cat Enthusiast, Old Soul, Childlike Spirit, Spiritually Curious, Tree Hugger, Tofu Muncher, Endometriosis Sufferer, Mental Health Advocate, Alien Believer, Doodle Enthusiast. Equality for all! I like to stop and smell the flowers and talk to the squirrels. ©TheVeganPeach. Ethereal theme. Powered by Blogger.